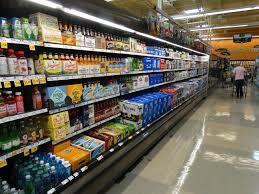 TOPEKA, Kan. (AP) – Grocery and convenience stores in Kansas are stocking their shelves with stronger beer. Starting Monday, they can sell beer with up to 6 percent alcohol by volume. Previously, groceries and convenience stores could stock beer with only up to 3.2 percent alcohol content – considerably lower than even leading light beer brands. In exchange, liquor stores will be able to sell more non-alcoholic products, such as shot glasses, mixers, lottery tickets and tobacco products. Lawmakers have debated the issue for years. Some said they were concerned large grocery chains would put independent liquor stores out of business. Oklahoma and Colorado have made similar charges. The beer revolution leaves just two states – Utah and Minnesota – where only 3.2 percent beer may be sold in grocery and convenience stores.